I wonder if vape lounges will replace or cary the RC units and sell the capsules separately at the front; pre-packed. Yah, the EV chamber is nice thing to have. I have the Crafty and the Mighty. I originally wanted the Mighty but a friend talked me out it because of its large size. A month later I bought the Mighty and never use the Crafty as a backup vape. Stored in dashboard plugged into via USB. I can say the Mighty is farrrr more reliable in its computer electronics and battery life. This is partially credited to its native display. There's just less happening. Also if the vape has half the battery; warming up takes twice as long. Isn't the battery actually use time less than 1/3 of the time it takes for the Mighty. not to mention its bluetooth radio. ill keep this in mind next time, i pack mine in quite tight i could see how that restricts air. I just had no idea about any vape lounges here....anywhere. I understand (but have not been there) that in AMS they do rent vaporizers...whether they sell doses prepacked or not....well, I have no idea, really :-! And no, I think that S&B's intent was to provide for the medical cannabis community and the dosing capsules provide easy mean for pre-measured doses and in particular would be handy for a care giver who prepares multiple days of doses for their clients at a time. Just my thoughts though as I don't have any inside info about S&B. 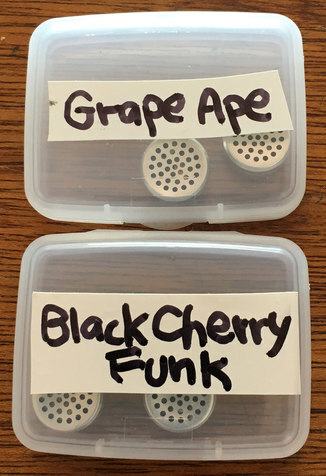 These containers are just the right height for dosing capsules, hold six or seven capsules each, and the containers fit easily into the same airtight humidity-controlled glass jars where I keep tea bags filled with different flower. Pretty sweet thanks for sharing! 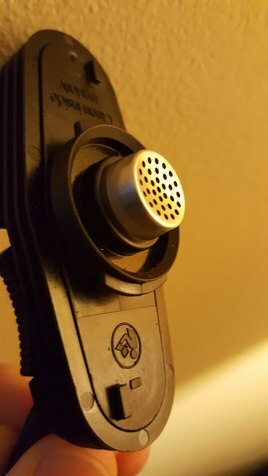 Sent my Mighty off for warranty work (broken pieces around the chamber) and ordered some of the normal and the concentrate capsules. Have there been any new tips or tricks to using these yet? Do they perform better packed or loose? Fine or normal grind? Looking forward to trying these out when I get my Mighty back. When I used the crafty/mighty for the first time, I realized I was finally medicating myself, I was no longer searching for or trying to reach a certain point of "intoxication". I thank you creator. The perfect solution would be a glass custom honeycomb spacer set bill for our crafty and my t something for half Bowl quarter bowl. Vape credit can you help us out on this? hello were did you find those capsules holders? Unable to find the capsules in SS. And I don't understand how a generic imitation competitor has already come out with better accessories. Disappointed, already confirm that it won't fit. I would like to have one of these for The Crafty or mighty to support water. yes there's others. Thermal conductivity can be defined as "the quantity of heat transmitted through a unit thickness of a material - in a direction normal to a surface of unit area - due to a unit temperature gradient under steady state conditions"
I was trying to express concern in regards to the aluminum for health and flavor reasons. My suggestion was stainless steel rather than glass as a spacer. Hi - well, can you help me understand what your concern is about these dosing capsules being made, presumably, out of aluminum? It's not a very noticeable taste let me see if I can explain. It's a little bit like the way beer tastes from bottle or can, there's a little bit of a hint of a tin can/cup. Maybe close to the flavor of a new screen during its first burn in. Or the metallic taste from some e-cigarette nicotine Vapse. Have you got desperate and smoked it out of a soda can? Not strongly but there's a hint of metallic flavor with these caps. If I'm not mistaken I think this issue has been discussed in other forums in regards to the preferredability of glass towards other materials. From my understanding that's why the screens are made from stainless steel. So I have been using the capsules exclusively since getting my Mighty back from repair. 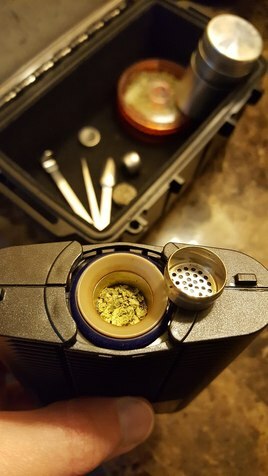 I find them convenient, easy to load when I use my Vapir NO2 scoop with the tamping tool that came with the mighty to tamp the load in the capsules. I did find that grinding too fine would cause loose herb to find its way into the cooling unit...something I was hoping to avoid because I like to recycle what I get in the cooling unit and use with my Kandypen Galaxy. I switched to a finder screen and went with a normal grind and that appears to have fixed my concerns. Using the concentrate pads is easy to use, but a little harder to clean. Does anyone have any tips with using bubble hash and the concentrate pads? I wasn't able to get what I would consider good results my first attempt. yes I agree! I do the same :) I carry two or three capsules in my front pocket; no smell and very discreet. You say that a loaded dosing capsule does not smell? How can that be possible?